Showing results by narrator "Catherine Frels"
Ian Mount’s vivid journey through Argentina’s Wild West explores the alchemy of weather, soil, and viticulture techniques that, on rare occasions, produce a legendary bottle of wine. He also investigates the dynamics of taste, status, and money that turned Malbec into a worldwide phenomenon. 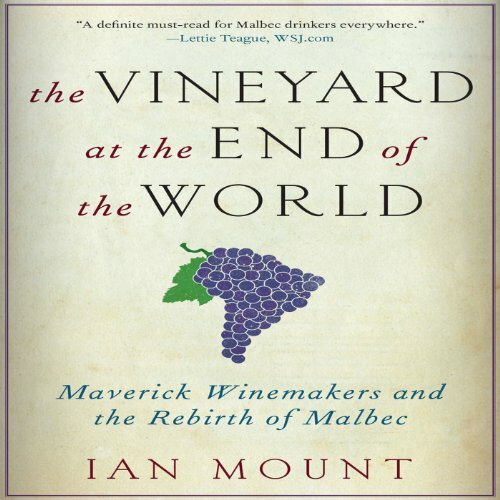 Profiling the larger-than-life figures who fueled the Malbec revolution - including celebrity oenologist Michel Rolland, acclaimed American winemaker Paul Hobbs, and the Mondavi-esque Catena family - Mount describes in colorful detail the brilliant innovations and backroom politics that put Malbec on the map.